Tamar calls: I have a pushka in the house from an organization with which I have no contact. Instead, I would like to donate the money to my son’s yeshiva, to demonstrate my hakaras hatov. Motza sifasecha tishmor ve’asisa ka’asher nadarta LaHashem Elokecha nedava asher dibarta bificha. You must be careful and fulfill that which exits your mouth, according to the vow that one recited to Hashem your G-d – anything that you spoke with your mouth (Devarim 23:24). The Gemara rules explicitly that tzedakah is included in the requirements of this verse (Rosh HaShanah 6a). Therefore, one is required min haTorah to redeem a pledge that one made to tzedakah. Because of this law, it is strongly advisable to make charitable commitments bli neder so that the pledge does not assume the severity of a vow (Shulchan Aruch Yoreh Deah 203:4 and 257:4). This mitzvah prohibits delaying the redemption of a pledge, such as a commitment to offer a korban in the Beis HaMikdash. Reciting a charitable pledge requires one to fulfill it as soon as possible; failure to do so violates the prohibition of bal te’acheir (Devarim 23:22; Rosh HaShanah 6a). The Gemara notes that the requirements of bal te’acheir for a tzedakah pledge are even more exacting than they are concerning other mitzvos, such as korbanos. One who (at the time of the Beis HaMikdash) pledges a korban may wait until the Festivals (Pesach, Shavuos, and Sukkos) to offer them, since he will then be traveling to Yerushalayim, anyway. (Technically, he is required because of a positive mitzvah to offer the korban the first Yom Tov, but does not violate the lo saaseh until all three Yomim Tovim pass.) However, since a pledge to tzedakah can easily be fulfilled as soon as one locates a poor person, one must disburse the funds quickly. The mitzvah of bal te’acheir provides another reason why one’s pledges to tzedakah should be made bli neder. If someone pledged tzedakah without specifying bli neder, he/she is obligated to redeem the pledge immediately. However, if one specified that the obligation is bli neder, failing to redeem it immediately does not violate bal te’acheir. We can now address Yehudah’s concern about responding to tzedakah appeals. His question was that he felt pressured to pledge donations and was concerned that he might forget to pay them. Ideally, he should donate without pledging, or alternatively, he can say that he is pledging with the understanding that he is not making any commitment whatsoever. (Essentially, this is disallowing his pledge.) A less preferable choice is to pledge bli neder, which accomplishes that, should he forget to redeem his pledge, he will not have violated either the prohibition of vows or of bal te’acheir. THE APPEAL WAS SUCCESSFUL, BUT THE INSTITUTION DIED! By the way, it appears that although the organizations making appeals in Yehudah’s shul are doing a good job, they could use logistic help in recording and collecting the pledges to their cause. Any reader interested in volunteering to help them out? Rabbah bar Avahu stated, “Someone who declares: ‘This sela coin shall go to tzedakah,’ may use it for his own purposes, and then later pay tzedakah a different coin” (Arachin 6a, as explained by Rashi). 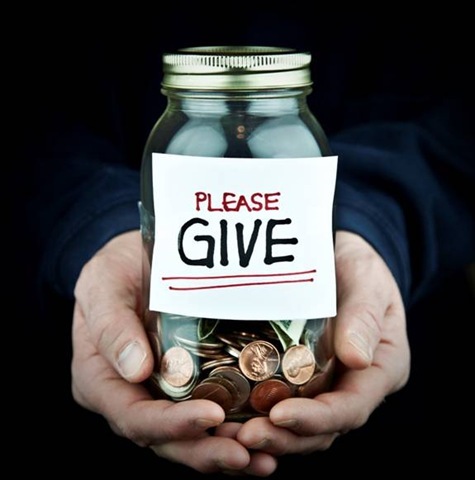 Rabbah bar Avahu’s is teaching that although pledging a coin to tzedakah creates a charitable vow that one must redeem, one may still borrow that coin and replace it. The reason this is true is that tzedakah does not create sanctity that forbids its use (Rambam, Hilchos Matanos Aniyim 8:5). In essence, declaring “this coin shall go to tzedakah” is equivalent to saying, “I hereby commit myself to donate to tzedakah an amount of money equal to the value of this coin.” The coin remains the donor’s, and he may borrow it and later replace it (see Shulchan Aruch Yoreh Deah 259:1). The Gemara subsequently teaches that one may borrow the pledged coin only if it was not yet given to the gabbai, the tzedakah treasurer. Once the gabbai receives the money it is tzedakah’s property, and one may not borrow it. Under normal circumstances, a treasurer is not authorized to lend or exchange tzedakah funds (Bava Basra 8a; Rambam, Hilchos Matanos Aniyim 8:4). One exception is when the lending or exchanging benefits the recipient of the funds (Arachin 6b; see Pischei Teshuvah, Yoreh Deah 259:4 for another exception). By the way, the sanction to borrow pledged money is also a liability, since it sometimes makes the person responsible to replace the money if it is stolen (see Choshen Mishpat 301:6). On the other hand, in a case when one may not use tzedakah money, he is not liable, unless he is negligent, such as forgetting where he put it. WHO OWNS THE MONEY IN THE PUSHKA? May Susan borrow from the pushka? According to what we have just learned, this depends on whether the money in the pushka already belongs to the organization or is still Susan’s property. Many authorities debated this question extensively about 150 years ago. The shaylah that spawned this literature is interesting. (1) May money pledged to one charitable cause be diverted to a different one? (2) Do the poor of Eretz Yisrael already own the money in the pushka? If the answer to the first question is “yes,” and to the second question is “no,” then the money may be diverted to the local indigent. Otherwise, it must be sent to Eretz Yisrael, because either the terms of the pledge must be absolutely fulfilled, or one is “stealing” money that already belongs to the poor of Eretz Yisroel (Shu’t Maamar Mordechai #15). Let us follow his analysis. Whether one may divert tzedakah money from one individual or organization to another is, indeed, a dispute among early poskim. Why should one be permitted to divert the funds? Explaining this approach requires that we note a new factor that the Gemara did not discuss. In Rabbah bar Avahu’s case, the donor simply declared, “This coin goes to tzedakah,” without specifying a specific individual or organization. However, what happens if someone holding a wad of hundred dollar bills declares, “I dedicate this money to the Asher Richman Hebrew Academy.” Must he contribute this amount of money to the Richman Academy, or may he afterwards decide to send them to the Pauper Yeshiva? Does halachah require him to honor a pledge to a specific organization or individual, or is he simply required to donate this amount of money to any tzedakah? If indeed the pledge is simply a generic requirement to donate this amount to tzedakah, then it should follow that one may actually contribute the funds to a charity different from what he originally intended. Early authorities discuss this question. A major posek of 13th century Germany reports a very unusual din Torah. A pauper claimed that a wealthy individual promised him a specific amount of money and had not paid it, whereas the rich man denied ever pledging any money. The poor man contended that the pledge obligated the donor to pay him and that the case is therefore no different from any plaintiff claiming money from a defendant who denies that he owes any. The halachah, in such instances, is that the defendant is required to swear an oath (shevuas heses) denying the claim. Similarly, the Mordechai (Bava Kamma #172) ruled that the affluent man is required to swear that he never pledged any money to the pauper! He does not report whether this pauper was subsequently offered any positions as a publicity director for any major Torah institution. The poskim prove from this Mordechai that when one pledges money to an individual tzedakah, the particular tzedakah can demand payment. Otherwise, what claim does the pauper have on the rich man? Even assuming that the rich man pledged him money, this is merely an obligation to give tzedakah, which the affluent man may donate anywhere. If the pauper indeed has a claim, it must follow that a pledge automatically includes a debt to the specific individual. Following this line of reasoning, money pledged to one tzedakah cannot be subsequently rerouted to a different one, however legitimate the need (Shach, Choshen Mishpat 87:51; Machanei Efrayim, Hilchos Tzedakah #7). Although not all authorities accept this position of the Mordechai (cf. Shu’t Maharit #22 and #39), many later authorities do follow his ruling (Ketzos HaChoshen, 87:21). Based on this analysis, most later authorities contend that money placed in a Rabbi Meir Baal HaNes pushka may not be given instead to the local poor (Shu’t Maharya HaLevi #49; Shu’t Beis Yitzchak, Orach Chayim #21). This allows us to answer our third question asked above: “I have a pushka in the house from an organization with which I have no contact. I would like to donate the money instead to my son’s yeshiva, to demonstrate my hakaras hatov.” The answer is that although supporting the Torah institutions that educate our children is vital, since this money is already designated for one organization, one may not transfer it to another. All of this does not answer Susan’s question whether she may borrow money from the pushka. Even if money pledged to one institution cannot be transferred to another, until the money becomes the property of the institution, one may borrow it, as we learned before. Thus, we need to determine whether money in the pushka is already the property of the institution or not. Now we reach an interesting question: What is the status of money in the pushka? Do I still have some control over it, and may I, therefore, borrow it, subject to the above conditions? Or is it now the property of the tzedakah and I may not? This halachah depends on the following: Who owns the pushka? If I own the pushka, then placing money in the pushka requires me to donate it to tzedakah, but it is not yet their property and I may borrow it. As I mentioned above, this situation may create liability for the funds, should they be stolen. On the other hand, if the organization assumes that money placed in the pushka belongs to them, then I may not borrow any of that money. The reason for this is that since the pushka is their vessel, money placed inside is equivalent to being given to the gabbai, the tzedakah treasurer (based on Shulchan Aruch Choshen Mishpat 200:3). Most authorities follow this latter interpretation of the halachah. ; he should make a condition in advance that when he puts money into the pushka, he is not donating it to the institution, but simply pledging it to them. This way, the money is not yet the property of the institution, and one may borrow it. Although this solution will not help for the money already in the pushka, it can be used to avoid this problem in the future. Some contemporary authorities suggest that someone who usually borrows from the pushka might be considered as if he made this condition from the beginning, i.e., that he is not giving the money yet to the tzedakah cause, but only pledging it (Derech Emunah, Matanos Aniyim 7:note 121). To answer Susan’s question, I would suggest that she make a condition, henceforth, that when she places money in the pushka, she is not donating it at this time. In so doing, she reserves the right to borrow from the pushka, although she also creates a responsibility for herself, should the money be stolen. She may decide that she is better off curbing her habit of borrowing from the pushka and make an appointment to join Borrowers Anonymous. Making change from the pushka benefits the tzedakah which would rather not distribute, transport or deposit its money as small change, but rather in the form of bills (Tzedakah Umishpat Chapter 8, footnote 25, page 148). Unfortunately, most people do not realize the complex shaylos that arise from shul appeals and pushkas – hopefully this article helps repair this breach. May we all always be showered with berachos for contributing generously to tzedakah!